Crisp mornings and golden afternoons filled with apple orchards and pumpkin patches makes my heart tug for Fall getaways and a country home retreat to enjoy it all. I continue to tear out and hold onto images from my favorite shelter magazines of inspiring architecture that might one day serve our design needs. 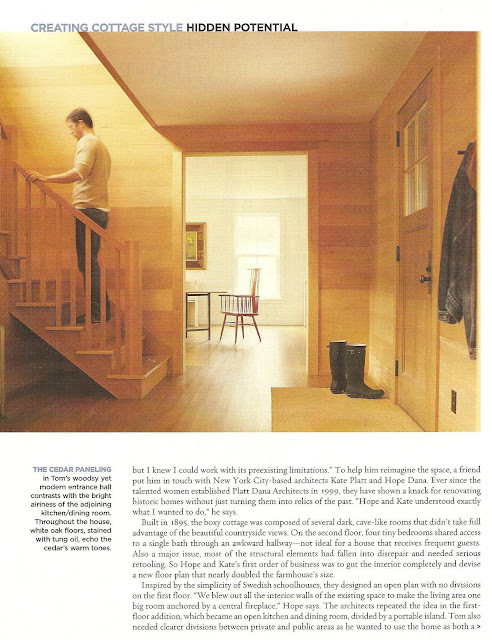 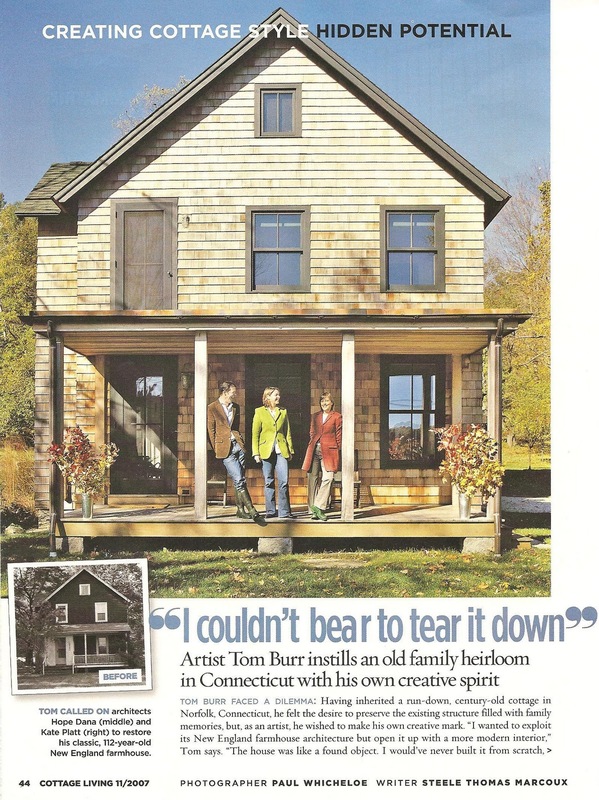 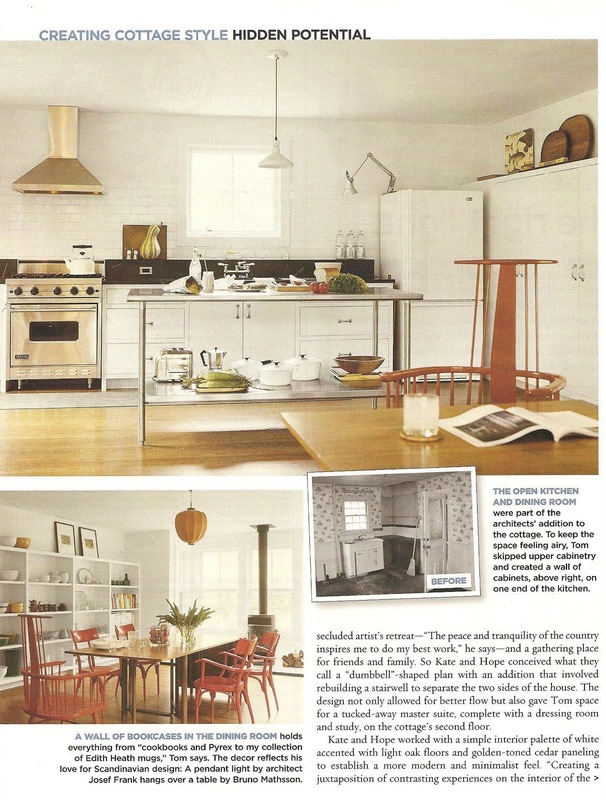 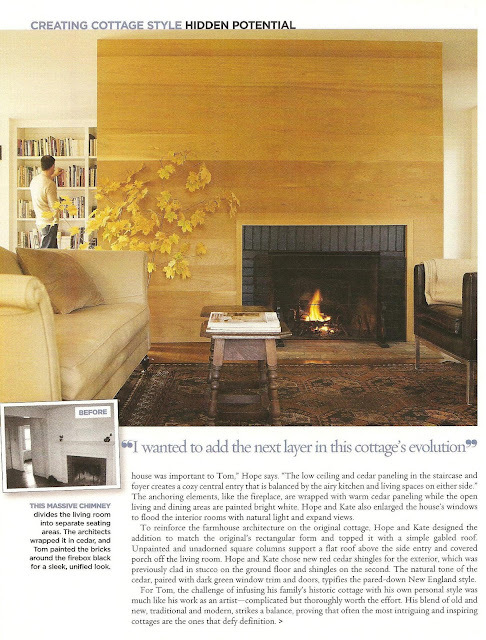 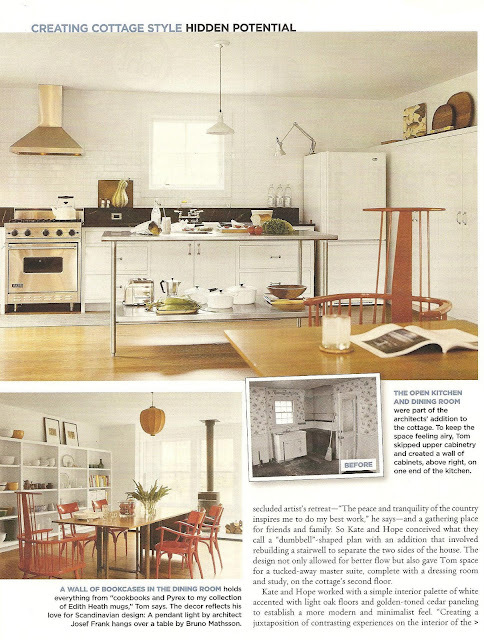 I've held onto these photos of a renovated Connecticut farmhouse from the much missed (folded in 2008) Cottage Living magazine's November 2007 issue. 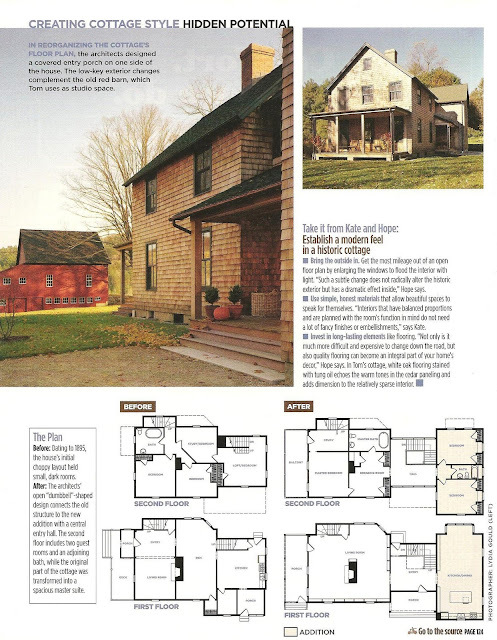 Not only is the renovation of this 112 year old home wonderful and in keeping with the original line of the structure, but I love the refined interior spaces and choices of finishes. My idea of a perfect spot to take in a Fall "Color Tour". Happy Week-end!